Business Studies are getting more and more popular in Pakistan and some students are preferring Business studies over medical even. An very clear prove of this change is higher merit of business schools both in public and private sector. Over the years LUMS maintained his number one position in business schools not only in Lahore and Punjab but now it has become Pakistan's Top Business School. Some years back LSE joined LUMS in higher ranks of business schools. But now there are some new business schools which are about to show their magic in business studies as well. Some big names like brand names are now started their own business school and got great response from students and market as well, well so far. I'm gonna give some information about those four emerging business schools of Lahore in this post. FAST Business School: National University of Computer and Emerging Sceinces started its Business School five years ago with the basic aim of supporting its Computer Sceince department with some degrees like BBIT and MBIT. But as the studies started it changes its dimensions and now they are fully providing pure business studies and no doubt there standard is high. In FAST students' life are so much busy in projects, quizes, assignments, presentations and exams. So they are grooming their students for strong market competition. Also their labs, library is very well equipped with helpful staff. Faculty is qualified and know the profession of teaching pretty well and doing a great job. Read more here. Management Studies Department, GCU: Government College University has established is Management Studies Department and by using the name of GCU they got attention of students and got great response in the form of applications which eventually gave them liberty to chose intelligent students out of those applicants after a strict entry test and interview. MBA at GCU got special attention by students because of its offering of a 6 month semester in Malaysia after two years in Pakistan. As they have highly qualified faculty so they can teach students according to the changing requirements of todays market. And facilities are also very much supportive in students research work and other activites. Read more about GCU here. 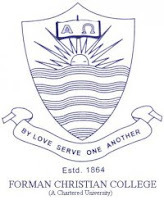 MBA At FCC University: Forman Christian College is one of the very popular and desired among emerging colleges for MBA. The level and statndard at the beginning is impressive. its planning and methods of studies and up to the mark designing of course outlines and competent faculty complementing all this has made it noticable among students. students are also given full support, guidance and suggestions regarding their studies and career. Students are looking forward to this institute for their MBA in future. 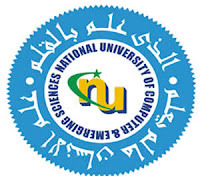 They provide students with opportunity to complete one or two of their semesters in American University, as it has its affiliation with some renown American universities. At FCC students are equipped with international level of education and professionalism. Institute of Business&Management, UET: UET, premier institute for engineering, has now come up with its institute of business administration & amp. They have introduced themselves with full implementation of modern techniques and latest methods and facilities for studies. Courses, class activities, quizzes and exams, everything is designed to enhance the intellectual level and inculcate professionalism into their students to compete in diverse market. they are providing students with up-to-date knowledge and skills to built their career. ALL THESE UNIVERSITIES ARE PLAYING A VITAL ROLE IN BUILDING THE FUTURE OF THEIR STUDENTS AT THEIR LEVEL. HOWEVER, IT IS THE STUDENT RESPONSIBILITY TO ACCEPT THE POSITION AND DELIEVER HIS/HER BEST TO THE NATION AND COUNTRY FOR MUTUAL SUCCESS.